But I still plan on attending, and I will prayerfully put what I can into the basket at the buffet. The Roman Catholic Diocese of Orange and the St. Thomas More Society will host the annual Red Mass at Holy Family Cathedral in Orange Monday, October 7, 2013 at 6:00 pm. Orange County judges and lawyers will attend as a group, joined by public officials and law faculty members. The custom originated in Europe in the 13th century and received its distinguished name from the brilliant scarlet vestments worn by the Mass celebrant and Lord High Justices in England. This year we are honored to welcome Bishop Kevin Vann to his first Red Mass in Orange County and seek his blessing on the dedication and mission of our local legal community as we seek to strengthen our resolve in the upcoming judicial session. 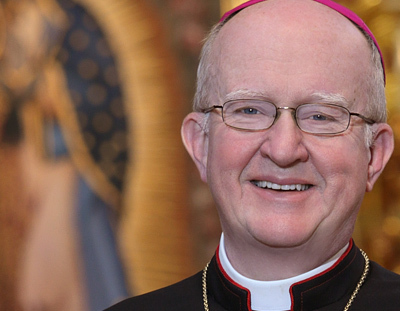 We look forward to sharing a meal with Bishop Vann at the St. Thomas More Society dinner after the Red Mass where we will acknowledge exemplary work of some of Orange County’s catholic legal professionals. “The Red Mass in Orange County is an honored tradition that brings the legal community together and reminds us of the lawyer’s duty as a servant to his client and to justice and equity in the law,” said Bill Malecki, Esq., Chair of the 2013 Diocese of Orange Red Mass Committee.